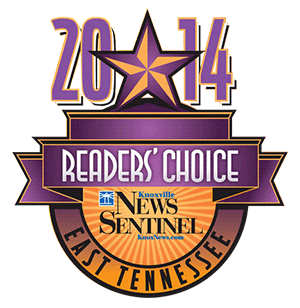 Over 40 years of service in the Knoxville area. Trusted by peers and patients alike. We will be happy to schedule your appointment and answer any questions. A passion for excellence is the underlying theme for our office. Decades of experience, thousands of hours of post graduate education and a dream team of staff, dental technicians, and specialists produce some amazing results. 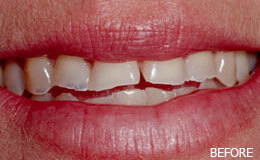 Our goal is to help you have a comfortable mouth with a confident smile and dentistry which lasts. Quality is never an accident; it is always the result of high intentions, sincere effort, intelligent direction, and skillful execution; it represents the wise choice of many alternatives. The edges of the teeth form a silhouette against the shadows of the mouth. 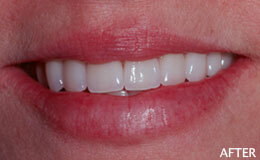 Irregular, worn edges are corrected with ceramic crowns to make a noticeable difference.